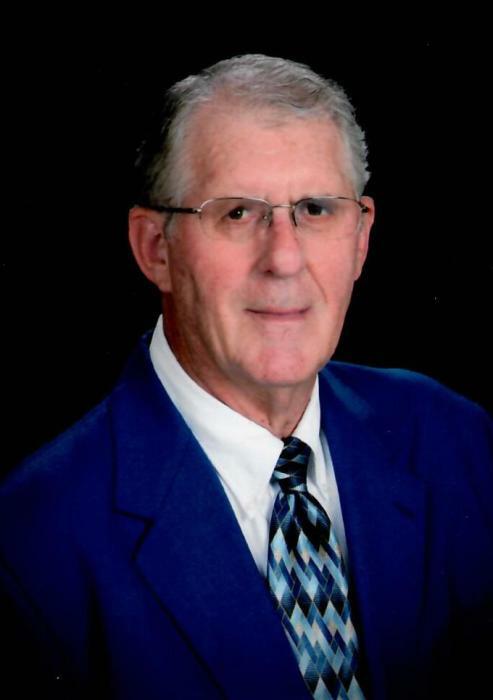 Douglas W. Fritz, age 77 of Marion, passed away Friday, May 18, 2018 at Greentree Health & Rehabilitation Center, Clintonville. Douglas Warren Fritz was born August 18, 1940 in Caroline, WI to the late George A. & Sadie (Jolitz) Fritz. He attended grade school in Caroline, and graduated from Marion High School in 1958. After graduation, Doug worked for the F.R. Buss Company for about a year, and later was employed by Krueger Hardware, Neenah as an architectural hardware consultant. In 1963, Doug was hired by Block Iron & Supply, Oshkosh where he worked for 33 years. He was united in marriage to Janet Poppe on April 18, 1964 at St. John’s Lutheran Church, Marion where they were current members. He then worked for Kelly Bros., San Diego, CA for about three years and later was employed by B & J Builders Supply & Service, Green Bay until his retirement after nine years. Throughout his working career, Doug had gained a respected reputation for his expertise and knowledge in the construction hardware industry; as a result, he continued to do freelance consulting/writing for commercial jobs. In his retirement, Doug found time to continue in his passion for construction hardware, buying and restoring antique doorknobs, locks, keys, plates, & hinges to their former glory and selling them online. He also loved to travel. Doug & Janet liked to go to California in the winter; they visited most of the western & mid-western states, as well as Hawaii. They also enjoyed golfing together and liked to visit many different courses in their travels. Doug cherished the memories made spending time with family relaxing up at the cottage on Post Lake. He was also the quiet, reserved one in a conversation unless he was talking about construction topics. Doug will be remembered as a husband and father who was gentle, loving, and kind. Doug was preceded in death by his parents; sister, Ardell Draeger; & brothers, George & Floyd Fritz. Memorial services will be held 5 PM, Thursday, May 24, 2018 at the Eberhardt-Stevenson Funeral Home & Crematory, Marion, with the Rev. Beth Macha officiating. Friends may call on Thursday at the funeral home from 3 PM until the time of the service. In lieu of flowers, memorials in Doug’s name are preferred to the St. John’s Lutheran Church Sanctuary Restoration Fund. 318 E. Garfield Ave. Marion, WI 54950.